Abdi Nor Iftin first fell in love with America from afar. As a child, he learned English by listening to American pop and watching action films starring Arnold Schwarzenegger. When U.S. marines landed in Mogadishu to take on the warlords, Abdi cheered the arrival of these Americans, who seemed as heroic as those of the movies. Sporting American clothes and dance moves, he became known around Mogadishu as Abdi American, but when the radical Islamist group al-Shabaab rose to power in 2006, it became dangerous to celebrate Western culture. Desperate to make a living, Abdi used his language skills to post secret dispatches, which found an audience of worldwide listeners. Eventually, though, Abdi was forced to flee to Kenya. In an amazing stroke of luck, Abdi won entrance to the U.S. in the annual visa lottery, though his route to America did not come easily. Parts of his story were first heard on the BBC World Service and This American Life. 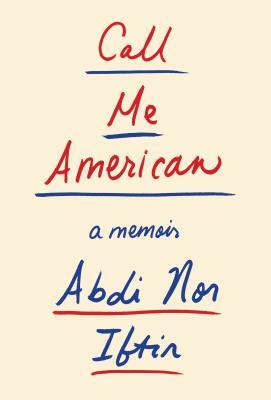 Now a proud resident of Maine, on the path to citizenship, Abdi Nor Iftin's dramatic, deeply stirring memoir is truly a story for our time: a vivid reminder of why America still beckons to those looking to make a better life. Abdi Nor Iftin currently lives in Maine. He is studying political science at the University of Southern Maine, and he plays soccer every Saturday in a melting-pot league of Americans and immigrants from around the world. "Iftin's account of his journey does not mince words or attempt to soften the worst atrocities he and his family experienced. Loyal and grateful to his mother, he shows particular sensitivity to the injustices suffered by women in Somalia. Told simply and well, Iftin’s story explains the incredible bravery and hope necessary to live in the crosshairs of war and to find a way out." "Riveting... [Abdi Nor Iftin] had to endure famine, war, a precarious life as a refugee, and a visa-rejecting bureaucracy before a green-card lottery win, in 2014, enabled him to emigrate. His narrative is both panoramic and particular, full of irreverent asides, and suffused with appreciation for the humanity of others." "Absolutely remarkable and always as compelling as a novel… An essential immigrant story, one that is enlightening and immediate." "[A] wrenching yet hopeful autobiography… Iftin’s extraordinary saga is not just a journey of self-advancement but a quest to break free from ethnic and sectarian hatreds." "A searing memoir…that impressively remains upbeat, highly inspiring, and always educational."